The Easter Vigil is one of the most solemn of liturgical services and includes The Service of Light, The Liturgy of the Word, The Sacrament of Baptism or the Renewal of Baptismal Promises by the entire congregation; and Holy Eucharist. 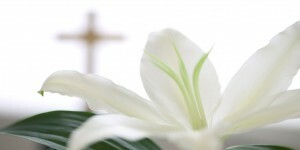 Easter Sunday or Resurrection Sunday, is a festival and holiday celebrating the resurrection of Jesus Christ from the dead. Loving care in our nursery will be offered for children birth through age 3 during the 8:45 and 10:45 am Sunday services.